13lbs lighter than the first Technique 1 workout – 30 days ago. So this is where I’m at. 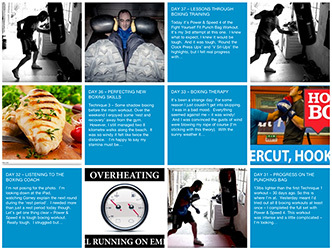 Yesterday meant I’d tried out all 8 boxing workouts at least once – I completed the full set with Power & Speed 4. 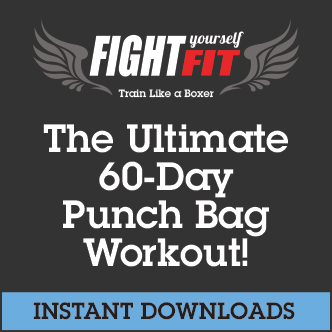 This punching bag workout was intense and a little complicated – I’m really looking forward to practising more with this one so I can get the combinations flowing. I’m certainly still feeling the effects this morning! Now I’m back to Technique 1 – The Basics. 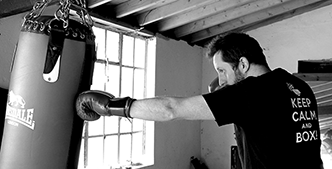 30 days on from my initiation into punching bag boxing training with this very same workout. I remember being a touch daunted by the whole thing. 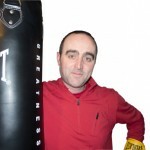 New heavy bag, new wraps, new gloves and me – the complete boxing newbie! One thing I will never forget is feeling completely exhausted afterwards. Today, 30 days later, will be a good test. 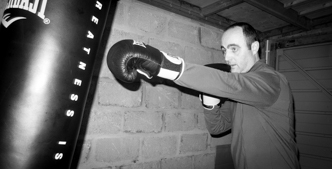 Corney – “We’re going to push in with a double jab, and then build the combination”. This morning that punching bag combination seemed fairly straightforward. Sure, I bet my form needs attention but I wasn’t frantically trying to keep up – there was time to focus and be more composed. The practise and repetition is definitely working. I wonder just how many jabs and crosses I’ve thrown in the past 30 days!? 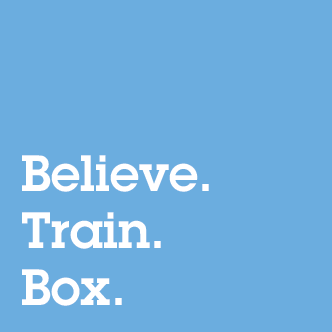 The same really can’t be said for the 7 to 1 – Press ups, Crunches, Burpee Jumps, Star Jumps. But it’s getting there. There’s definitely less resistance with the belly during the crunches that’s for sure. 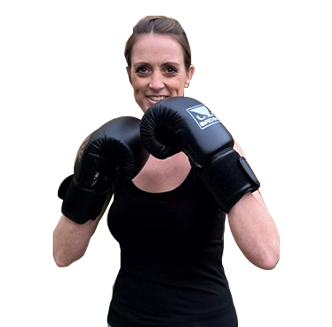 Have you added a punch bag to your fitness routine? We’d love to hear about it – Feel free to leave a comment below.